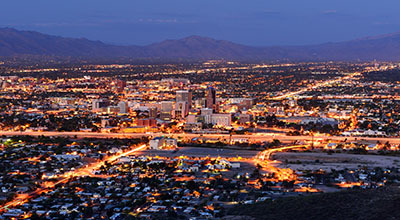 Tempe, Arizona—An accident caused by a red-light runner left one person dead and another in critical condition. 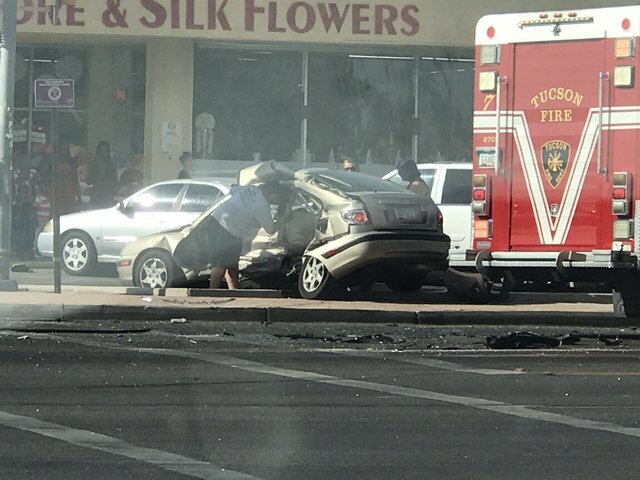 The four vehicle crash occurred on Saturday afternoon around 4:30 p.m. at the intersection of Pima Street and Craycroft Road. According to Tucson Police, Nicholas Calhoun, age 26, was driving erratically at excessive speeds on Pima when he ran a red-light at the intersection at Craycroft. The first vehicle he struck was a Hyundai on Craycroft driven by Jonathan Breault, age 43. The impact pushed Mr. Breault’s Hyundai into another northbound vehicle that was traveling ahead of him. That driver was not injured. Calhoun’s vehicle continued until it struck a Honda Civic which was stopped at the red light at Pima in the westbound median lane. The woman driving the Honda was severely injured. She and Mr. Breault were transported to Banner University Medical Center, where Mr. Breault died. The woman remains in critical condition. Calhoun escaped with minor scrapes and bruises, then fled on foot before officers arrived at the scene. Tucson Police located him inside a a CheckSmart at 5502 E. Pima where he was detained and taken into custody. He is charged with five felonies, including second degree murder. Accident investigators learned that Calhoun had earlier flagged down an officer from his car at the intersection of Alvernon Way and Grant Road to report that someone was following him. The officer asked Calhoun to pull over, but Calhoun instead made a u-turn and headed south on Alvernon, exceeding the speed limit and occasionally driving in the opposite lanes of traffic. The collision occurred shortly thereafter. Detectives have determined that speed and impairment were likely factors contributing to the accident. The police investigation continues and additional charges may be brought later. Police administered a test to determine the level of Mr. Calhoun’s blood alcohol concentration and those results will be available in a few weeks. Anyone with information is urged to call 88-CRIME. We extend our condolences to the family and friends of Mr. Breault over this tragic loss, and we wish the injured woman a swift and complete recovery.